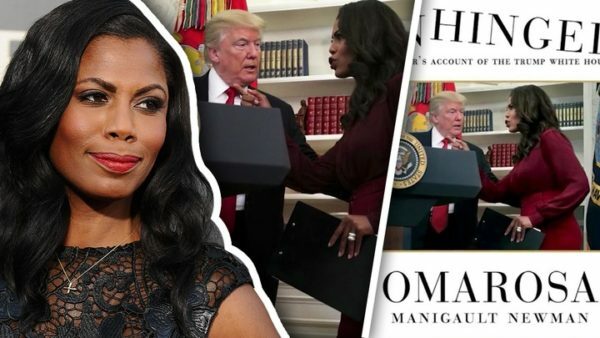 I’m not a fan of Omarosa and I hate how she allowed herself to be used by Trump to deflect charges of racism when she knew damn well that he was a racist. I felt like she sold out my entire community for an ignorant bigoted man-child. She even decided to stay working for him after his disgustingly racist comments after the Charlottesville incident. To me that’s almost unforgivable. But now she no longer works for Trump and she’s exposing a lot of things she saw during her time in the White House. And she’s finally admitting the truth that Trump is indeed a racist. There’s a lot I still do not like about her but whenever the press talks about how unqualified she was for that position in the White House I feel like defending her. She worked in the White House when Clinton was president, and also worked for former vice president Al Gore. She also worked on a few campaigns for democrat candidates. She has a graduate degree in communications and another degree in journalism. I feel like most people aren’t aware of how hard it is to come by these types of accomplishments when you’re an African American (especially an African American woman). I know from my own personal experiences that you have to constantly prove yourself and swallow a ton of racist comments if you want to climb that corporate ladder because every day you walk into work I guarantee a few of your white colleagues are looking at you and wondering why you are there and what your qualifications are. Or they’ll assume you were hired to fill some kind of diversity quota. Another thing that bothers me is the way journalist constantly question her credibility even though she has proof of what she’s saying. 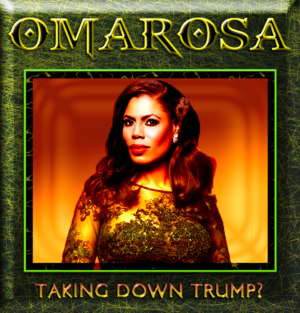 The tapes she has released so far have been verified and authenticated by news organizations so why are they adding commentary about her trustworthiness and credibility right before they begin playing clips from her tapes? If she was making accusations without proof then it would be appropriate to question that. Thank god she had the forethought to record everything because if it turned into a he said she said type of situation, the black woman would be the loser in that scenario. This extremely intelligent African American woman is taking Trump to task in a way that no one in politics can. Let’s give her a little breathing room and enjoy the show because I bet she’s just getting started. Everyone deserves a second chance especially when they’re bringing the kind of ammunition she has to our gun fight. At this point I could care less what her motives are. I’d rather focus on results. I most certainly can forgive Omarosa. There is nothing that mainstream America can say or do that would cause me to not to, particularly since she has owned up to her mistakes and taken full responsibility for them.